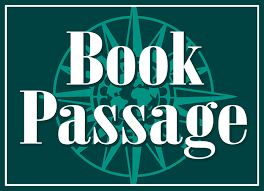 Kimberley Cameron & Associates: Kimberley and Amy are excited to be on the faculty again for the Book Passage Mystery Writers Conference this September! Kimberley and Amy are excited to be on the faculty again for the Book Passage Mystery Writers Conference this September! Click here to sign up and for more information! Another great review for CRUSH by John Briscoe! Cover reveal for SUNSHINE STATE by D.P. Lyle!